Winston Dining Table - 48"
High gloss white lacquer with clear glass top . Available for both Kure and Sandro. 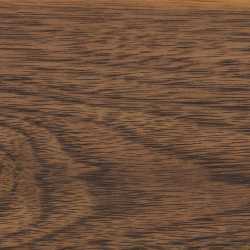 Sumptuous veneers are selected from top grade lumber. This veneer preserves the characteristic wood grains beneath a long-lasting final finish. The Winston Dining Table has a unique aesthetic, borrowing elements from both the mid-century modern style as well as from contemporary minimalism. Its intentional single pedestal base is uncluttered yet sophisticated in design while the white lacquer top is a clear homage to Scandinavian sensibility. Available in two sizes. Width of base is 21.7"
This table is gorgeous! I have received compliments on it from every person that has entered my home. The only downside is that it is expensive. However it is great quality! I love the quality of this product. It's exactly as it looks in the pictures. My first delivery came damage but Rove was quick in sending a replacement and I received that one in 5 days. The value is strong in this one! This table has the heft and presence of much more expensive tables. It is very easy to assemble although you probably need two people because of the size and weight of the table. It is sleek and modern, perfect for a dining room and nook. I absolutely love this table! I absolutely love this table! It is solid unlike so much other furniture these days and looks great too. Beautiful walnut veneer on the base and a nice tempered glass on top makes it super practical for cleaning.